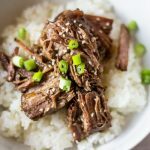 This Korean Pot Roast has all the great flavors of KBBQ with a cut of meat easy to find anywhere! My mom tipped me off to this trick. 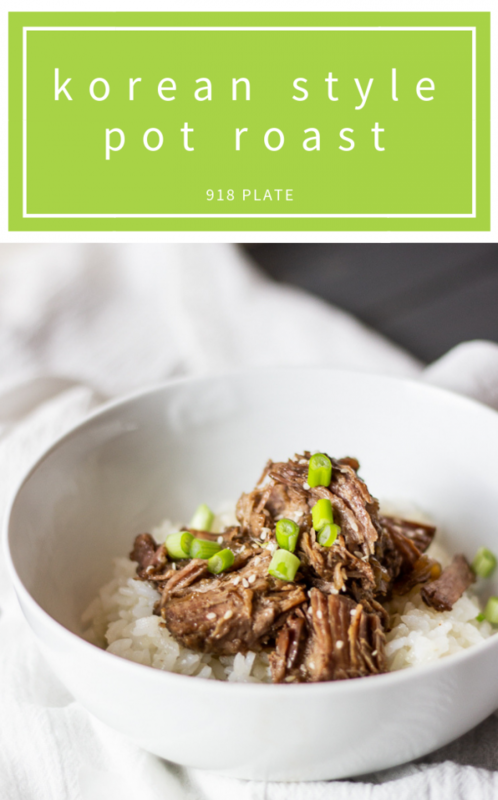 She called and said, “Have you ever made a Korean pot roast with Kalbi marinade?” And I was like, “Nooooo…..but that sounds amazing.” I promptly put it on the list to try. Roast was always an easy family dinner that we ate frequently growing up, and it even became one of my favorite foods. For a more traditional roast, you can find my childhood family roast recipe here. 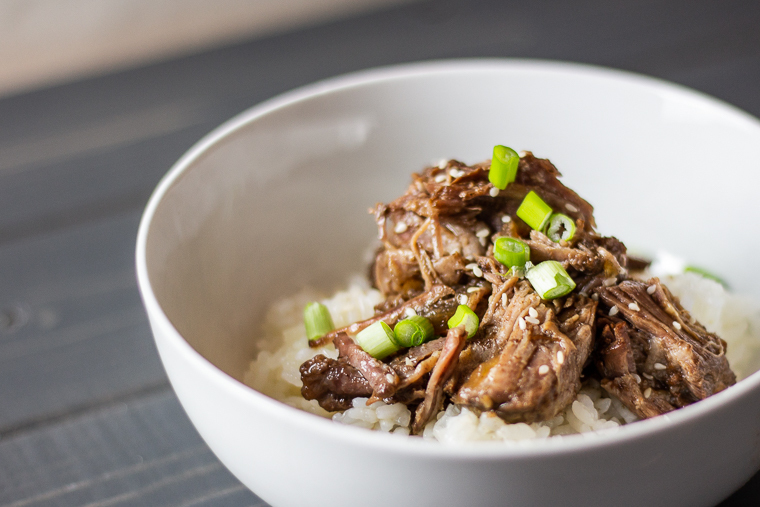 To create these flavors, I mostly worked from and ended up adapting the marinade for bulgogi that I have here on the blog. You’ll notice, however, I cut the sugar back by half. It was a good choice, especially since the meat cooks in the sauce for so long! Instead of traditional potatoes (mashed potatoes with roast are my absolute favorite! 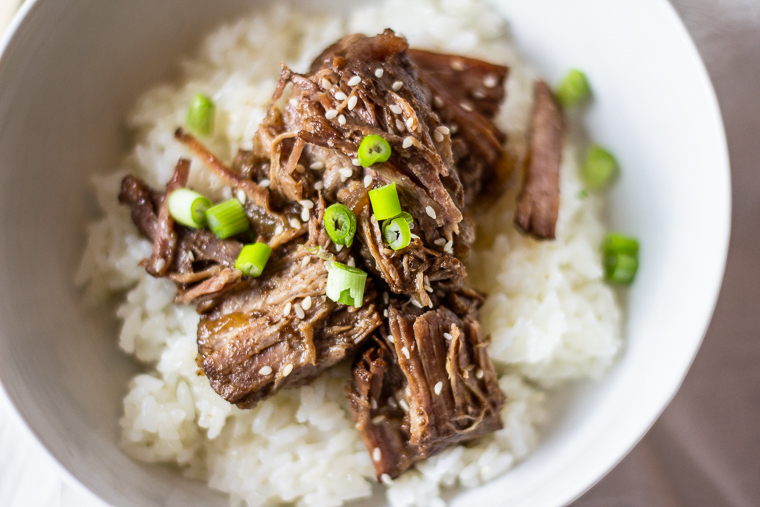 ), this Korean pot roast goes best served over a couple scoops of sticky rice. If you need a vegetable in your life, you can always serve also with kimchi or Asian-style slaw or salad. Carrots would also be a great addition to add to the roast while cooking, or just steamed or roasted and serves alongside. Local Spotlight: I have talked about the Mother Road Market before, but I can’t get over how happy I am that I can go and pick up nearly any local meat that I need any day of the week! I picked up this chuck roast from the Farm Stand freezer. It was a perfect size for our fam! How you do switch up family classics? 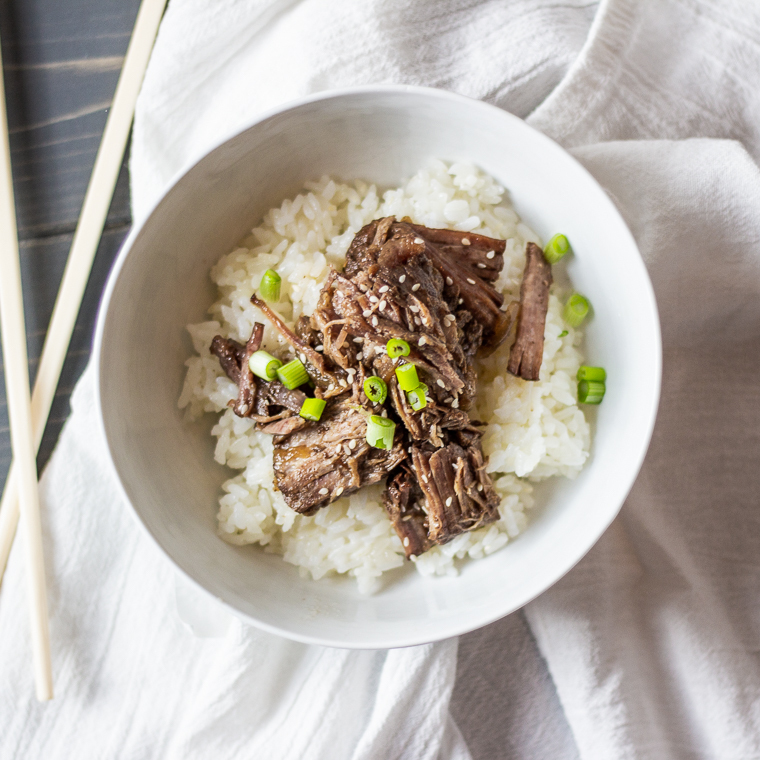 Mix together sugar, soy sauce and sesame oil in a bowl. Slice onion into thin strips, mince garlic and cube apple. (Optional, but recommended) In skillet, brown all sides of the roast in 2 T. olive oil, on high heat. Add meat, onions, garlic, green onions and apple to the slow cooker. Pour in sauce mixture and set for 8 hours on low. 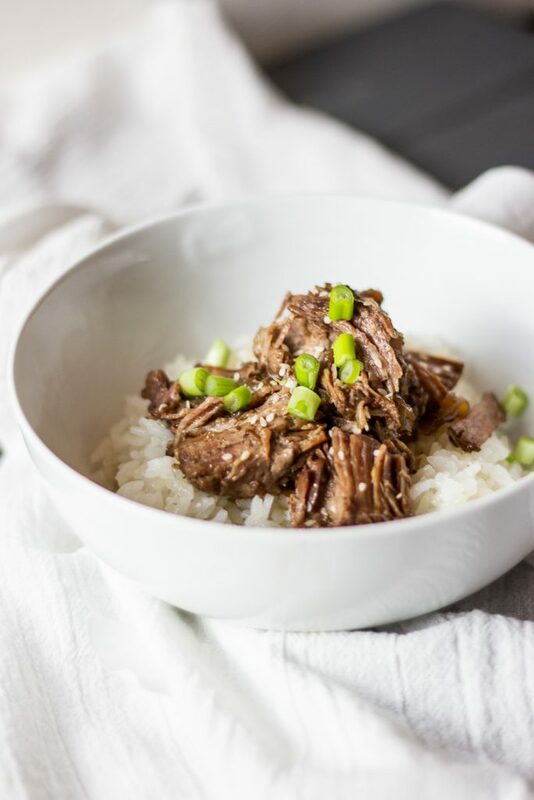 Shred and serve meat & #enJOY!